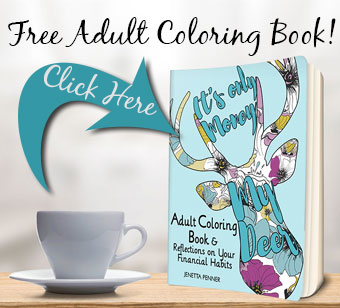 Looking for some ways to save money? Here are 15 tips that just might help you out. Stay home more– first off with the cost of gas staying home more is just going to save more because you are not driving. But staying home makes sure you are not buying things on impulse. Get movie Rentals from DVDPlay Or RedBox– These vending machine movies only cost $1 to $1.50 per rental and can be picked up when you are at your grocery store. The only down side is they are one day rentals- so make you have time the next day to return it. Sometimes you can alot find free codes here at FFD or just by doing a Google Search. Stop drinking soda and juice– Drinking soda a juice on a regular basis is expensive and a habit that is worth breaking. Think of all the calories that you will not be taking in and the money that will stay in your pocket. If you go out to eat soda can add as much as $10 to your bill for a family of 4. Exercise at home– Drop that gym membership and get a few exercise machines for the home off Craigslist or Freecycle. You can pick them up super cheap (or free) and you also save gas and your time. Turn the lights off– Turn the lights off when you leave the room- pocketbook and environmentally friendly. Cook at home– This is a no brainer- eating out is easy and yummy but very expensive. If you have to eat out use the Entertainment Book (below) or order at lunchtime when the menu offers less expensive options. Shop at yard sales– You would be amazed at how sometimes people literally give stuff away- especially clothes. When your kids are young you can easily get away with yard sale clothing shopping- teenagers might not be so thrilled. Swap toys with friends– Kids get bored with toys or out grow them so start a swap with all your friends where you trade toys. Get rid of or reduce your cable– We did this and really- it’s not a big deal. Right not I think we have about 20 channels and I will admit flipping channels does not feel as good as it use to but the $40 a month savings does feel pretty nice. Freecycle– if you haven’t checked out FreeCycle yet get to their website now!! Pack a Lunch– When you realize how much it costs to buy lunch every day; packing a lunch doesn’t seem like such a big deal. Make your own coffee– Make Starbucks a special treat- not an everyday thing. Entertainment book– I love the Entertainment Book- when you do eat out it is a great way to save money. My family has been using it since I was a teenager. I like it not only for the half price meals but also because it helps you experience new restaurants. There are a lot of multicultural options to choose from. Day old Bread Store– Half price bread is always a good thing- just watch out for other junk food temptations. Have “Pot Luck” Dinner Parties– Instead of stressing out over planning a major dinner party go with a theme and have all your friends bring pot luck. It not only spreads out the cost it alleviates the stress. Increase Your Income- Check out our post on little ways you can increase your income fairly easily from home. 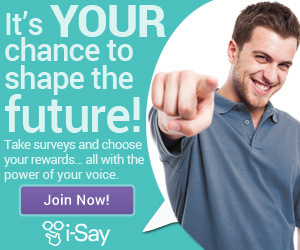 And if you just want to earn a little money for a few extras web surveys are a great way to go. A few of my favorites are Pinecone, I-psos , Shoppers Perspective and Tellwut. These will only earn a little. But it’s a great way to still have some extra luxuries. Great tips! The only one I had a problem with was #2, about the DVD rentals. Go to the LIBRARY! It's free all the time. And, if they don't have what you want on the shelf, you can usually put yourself in line to get it. Otherwise, you are spot on! Oh, I needed to read this today. I was just whining to my friends yesterday about how I never have any money. Thank you for the tips! We've been able to save a lot by making our lunches at home. This was especially true when I was working in NYC! I'm always looking for great tips to earn extra cash and save some. These are great! Definitely going to give a few of these a shot. Thanks!